When it comes to supporting brands, an impeccable user-experience is a must – especially when that brand is Sony PlayStation. 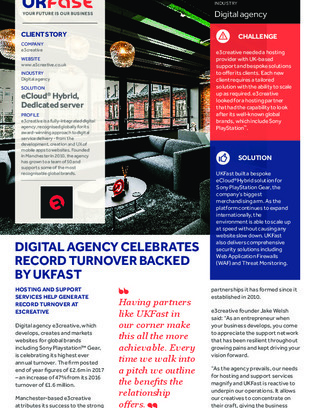 That’s why the UK-based digital agency tasked with building and maintaining PlayStation’s massive global presence turned to a scalable, high-performance hybrid environment. In this case study, learn how e3creative harnessed a hosting and support service provider to empower their creative capabilities and build an environment that could easily support the PlayStation brand.